At Scartho Junior Academy, we firmly believe that all the children in our school should have a say in making decisions about what happens within our school community. In a variety of ways, we give our children as many opportunities as possible to have their voices heard. During this academic year, we are having a REAL focus on developing a unique approach to ensuring that all the children in our school feel involved in their learning, and the learning that takes place around the school. 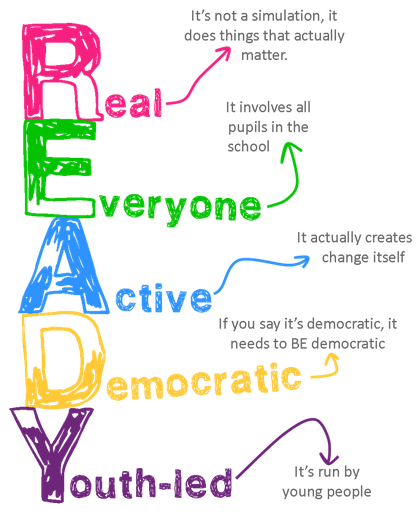 There are a number of 'Pupil Voice Communities' that we are developing within our school. These include; Y6 House Captains; School Ambassadors; Digital Leaders; The Critique Crew; Reading Heroes and PE Coaches. Click on the links below to find out more about these different 'Pupil Voice Communities'. This will give you some simple information about each of these groups.